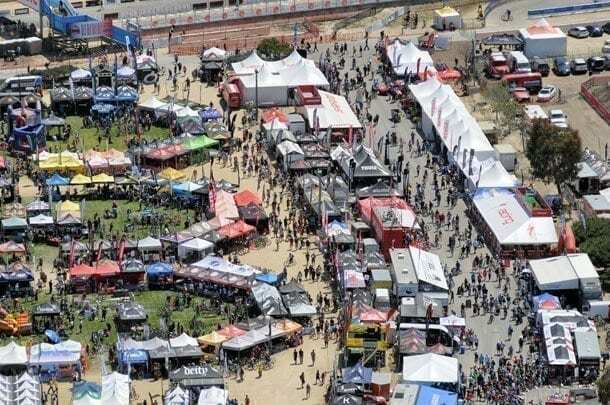 Report & Results: Sea Otter Classic – Day 3 - SoCalCycling.com - Southern California, Cycling, Cycling News, Amgen Tour of California, Bicycle Racing, Fun Rides, Cycling Event Schedules, Mountain Biking, Cyclocross, Cycling Photos, Cycling Videos, Interviews, Product Reviews. For the second day in a row, Marianne Vos claimed victory in the fat-tire category by taking the win in the women’s pro cross-country event. 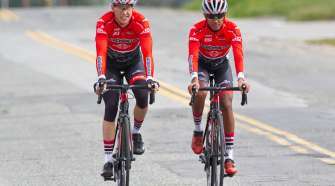 While Vos commanded the dirt, cloud-free skies and warm temperatures greeted more than 1,200 Gran Fondo Giro d’Italia Sea Otter Classic riders as they prepared to depart the Laguna Seca Recreation Area for the festival’s first event of the day. Fans and enthusiasts filled the expo area yet again, enjoying the offerings and activities of more than 400 vendors and exhibitors. On the road, Kirk Carlson (Team Predator Carbon Repair) won the Pro 1/2 Time Trial and moved into the GC lead. On the women’s side, Alison Tetrick (Exergy TWENTY16) posted the fastest time to win the stage with Jade Wilcoxson (Optum pb KBS) finishing 3rd and in the leaders jersey. Saturday is typically Sea Otter Classic’s busiest day and 2013 proved no exception as legions of fans, racers and festival-goers gathered on the penultimate day of what’s been described as the “opening bell of the North American cycling season.” Competitors and spectators enjoyed SRAM road and mountain bike events including cross-country, downhill, and dual slalom, as well as crowd favorite, Speed and Style. 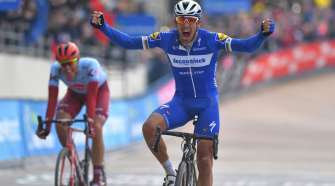 On the road, attendees were treated to both road and circuit racing and the day was capped with the very spirited and highly competitive Raleigh Cyclocross Race. Tomorrow brings yet another great day of racing and festival activities. The cross country competition comes to a close after three days of racing as does the downhill competition with pros taking over the course for inspection and finals. 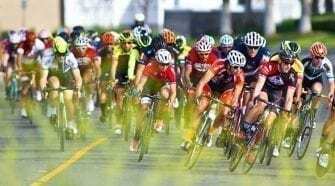 Fans will see a bit more cross country and dual slalom action as the amateurs take to each course one last time before the Sea Otter Classic curtain is drawn for 2013. Sunday also sees the final road racing events with the final circuit races slotted for professional men and category 1/2 women.